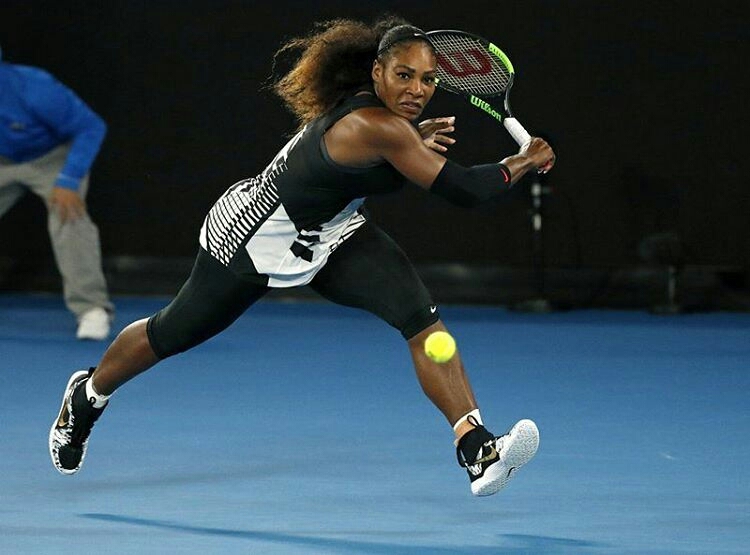 Serena Williams has defeated her sister Venus 6-4, 6-4 in the final of the Australian Open to capture her 23rd major singles title, setting a record in the Open era. Serena Williams had been tied with Steffi Graf at 22 major titles. She still remains one title behind the all-time leader, Margaret Court, who has 24 overall Grand Slam titles in the Open and amateur eras. It was also the seventh Australian Open title for Serena Williams to go along with her seven titles at Wimbledon, six at the U.S. Open and three at the French Open. Serena Williams started the match nervously, dropping serve twice to start the first set. After making three double-faults in the fourth game to get broken, however, the younger Williams didn't face another break point in the match. The match-up between 36-year-old Venus and 35-year-old Serena was the oldest for a women's major final in the Open era, with a combined 71 years, 11 months. Serena Williams now has a 17-11 career record against her sister, including a 10-5 advantage at Grand Slams.